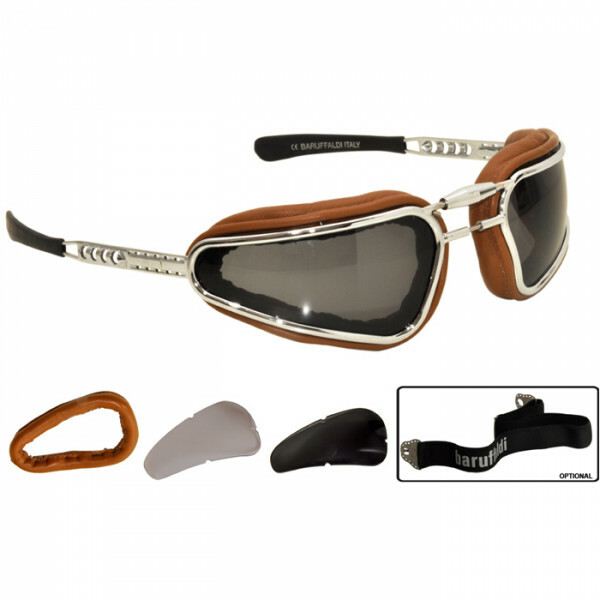 Metal motorcycle eyewear and wrap-around line. High-tech technical details: adjustable bridge integrated with the frame, astine flex, interchangeable lenses, massaged leather cushion, hand-worked and padded to give protection. Disassembling the pillow and lenses is facilitated by a round polycarbonate washer that is included in the package.